Bajiro Mastani is a typical Sanjay Leela Bhansali movie which focuses more on Sets, Costumes, Locations and Cinematography than Script, Acting and Editing. In fact, that is the trend I am observing in most films getting made off late. You'll see lot of scenes and camera angles inspired from Jodhaa Akbar. Ranveer Singh is sporting different looks in the film and looks pretty passionate. 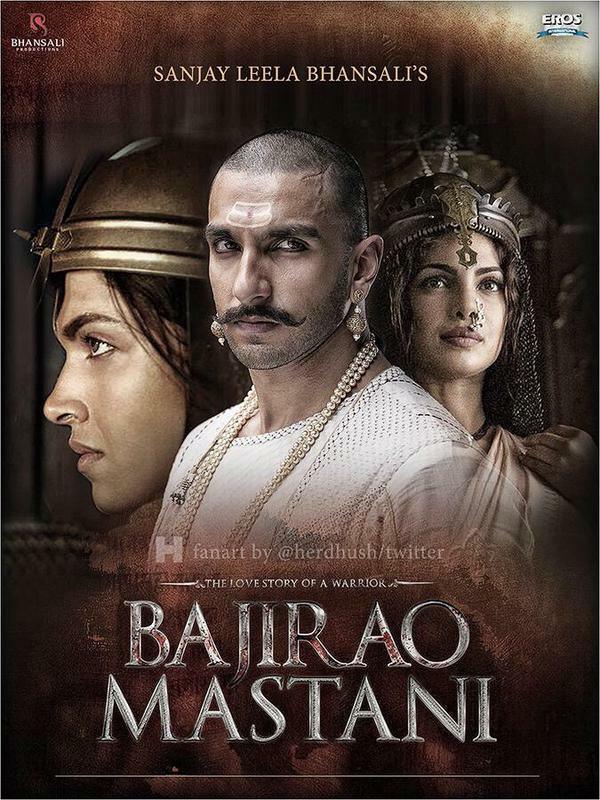 Unfortunately, he forgot that he isn't playing Ranveer Singh but Bajirao Ballal Bhat. Priyanka Chopra looks absolutely stunning and immersed into the character of Kashibai. Her expressions and dance moves looks very realistic. Deepika Padukone looks more like Anarkali than Mastani. C'mon you could have a little originality in your depiction of Mastani. To me trailer isn't appealing and film looks more of a drag. Hope, they make it a fast paced drama instead of stretching melodramatic scenes. Also, hoping Piggy Chops and Deeps don't shed more than 2-3 litres of tears collectively.